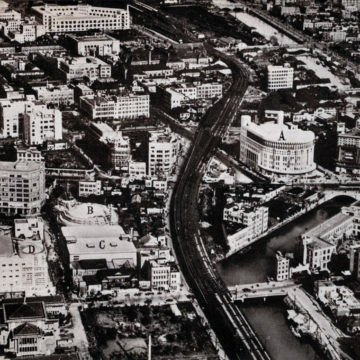 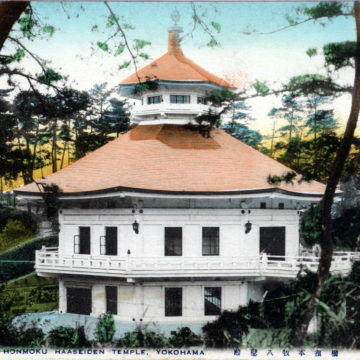 Hasseiden Temple, Yokohama, c. 1940. 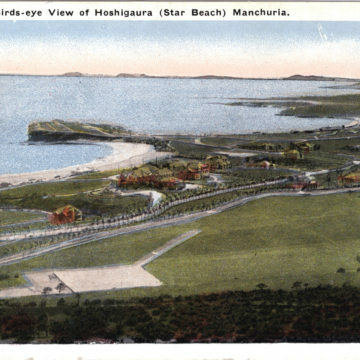 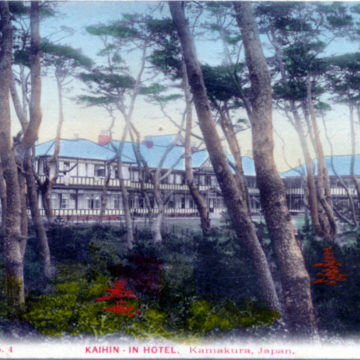 Kaihin-in Hotel, Kamakura, c. 1920. 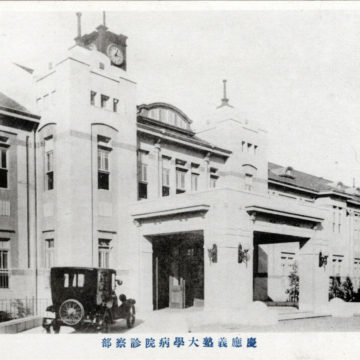 Keio University Hospital, Tokyo (Shinanomachi), c. 1920. 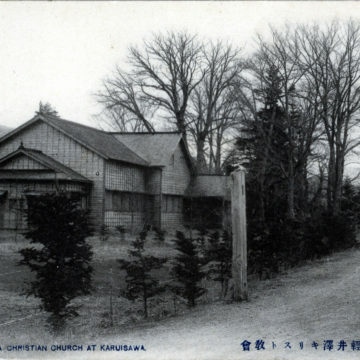 Karuizawa Union Church, Karuizawa, c. 1910. 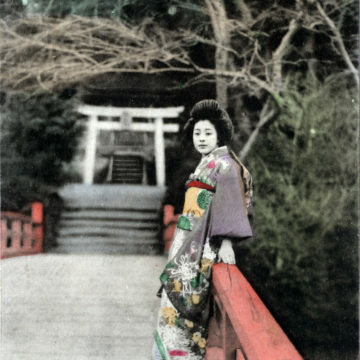 Samurai Shokai, Yokohama, c. 1910. 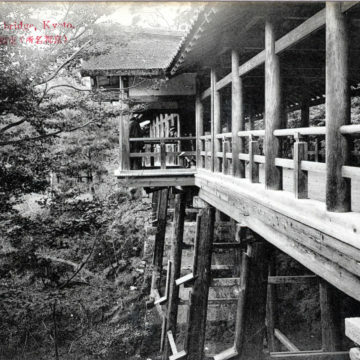 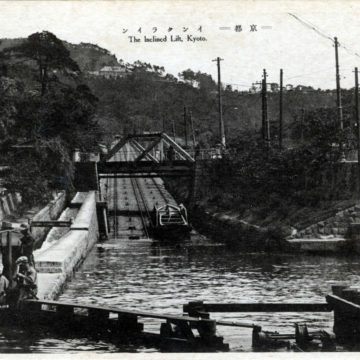 The “Incline Lift”, Kyoto, c. 1910. 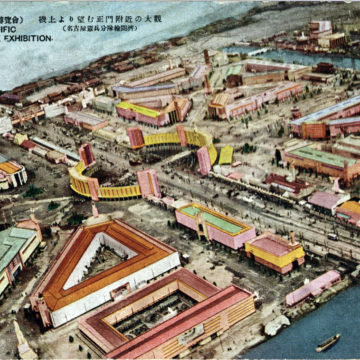 Shibaura Engineering Works, Shinagawa, Tokyo, c. 1910. 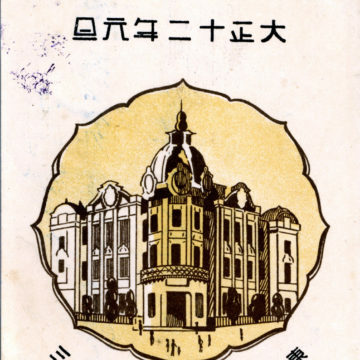 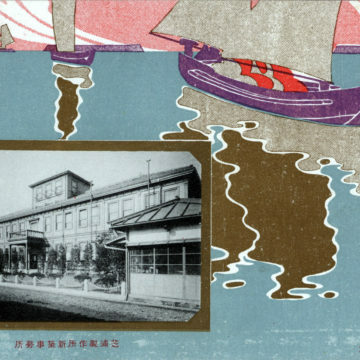 Shirokiya Department Store, c. 1910-1940. 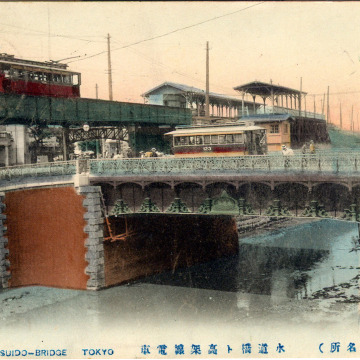 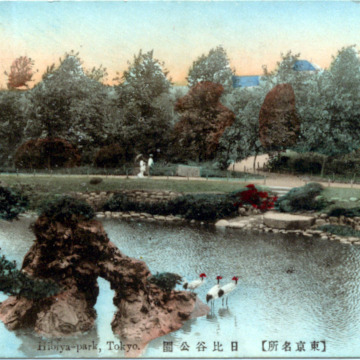 Tofukuji Bridge, Kyoto, c. 1910. 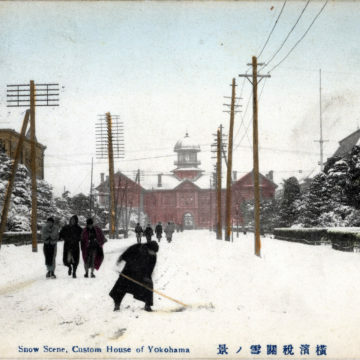 Custom House, Yokohama, c. 1910. 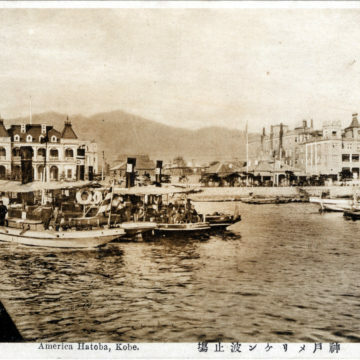 American Hatoba (Wharf), Kobe, c. 1910. 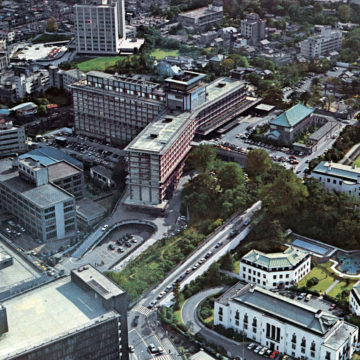 Hotel Okura, Tokyo, c. 1970. 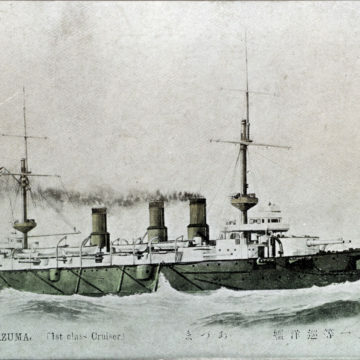 Imperial Japanese Navy Armored Cruiser “Azuma”, c. 1910. 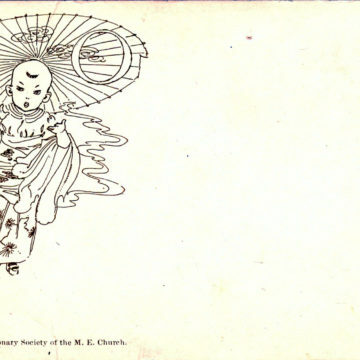 Woman’s Foreign Missionary Society of the Methodist Episcopal Church, c. 1910. 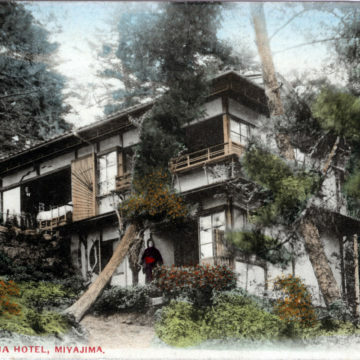 Miyajima (Mikado) Hotel, Miyajima, c. 1910. 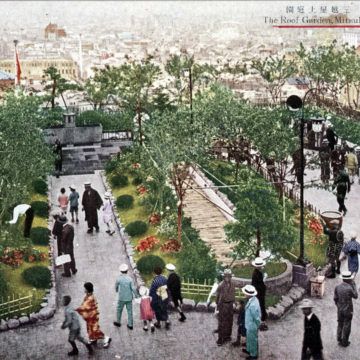 Roof Garden, Mitsukoshi Department Store, Tokyo, c. 1930. 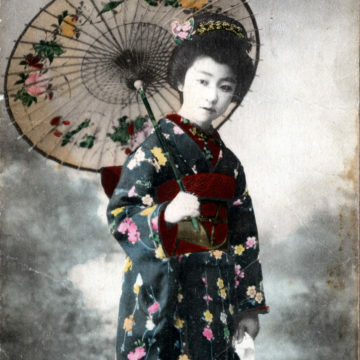 Japanese Umbrella (Kasa), c. 1910.